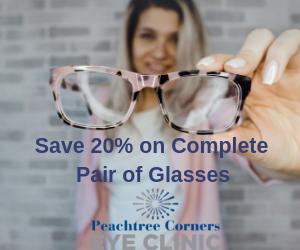 Peachtree Corners Eye Clinic always has great deals on frames and lenses. When you purchase your glasses with us you can always expect great value. Do not forget to take advantage of our specials. Your vision will be 100%, but you will only pay 80%! 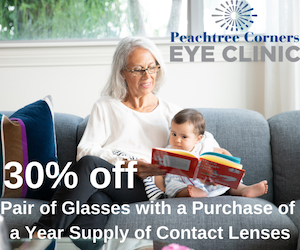 30% off a complete pair of glasses with the purchase of a year supply of contact lenses. It is always a good idea to have a pair of updated back-up glasses. 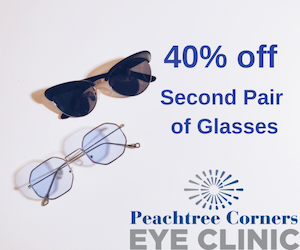 40% off a complete second pair of glasses. How about adding a pair of prescription sunglasses, or another must have style! 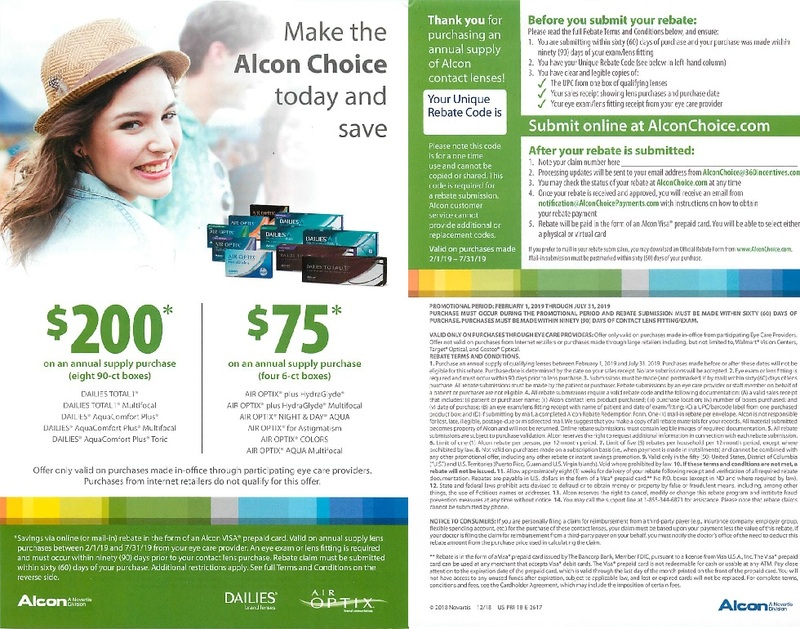 Alcon Contact Lenses- Up to $200 rebate on an annual supply of lenses. 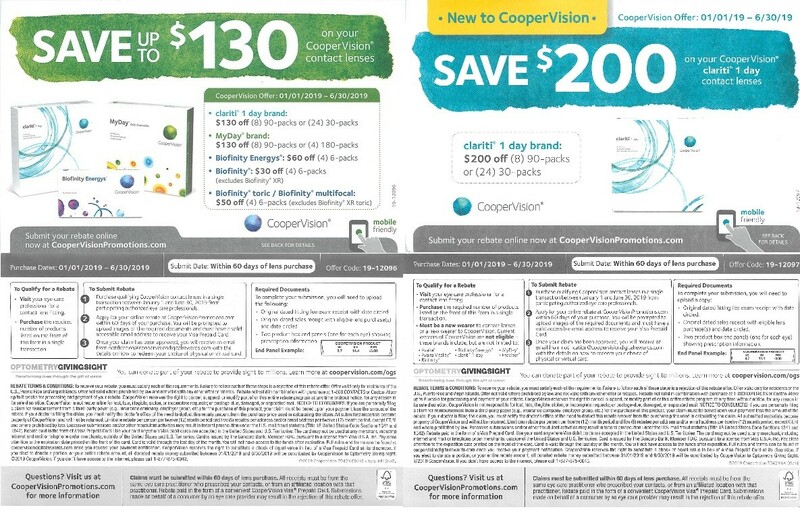 CooperVision Contact Lenses- Up to $200 rebate on an annual supply of lenses. 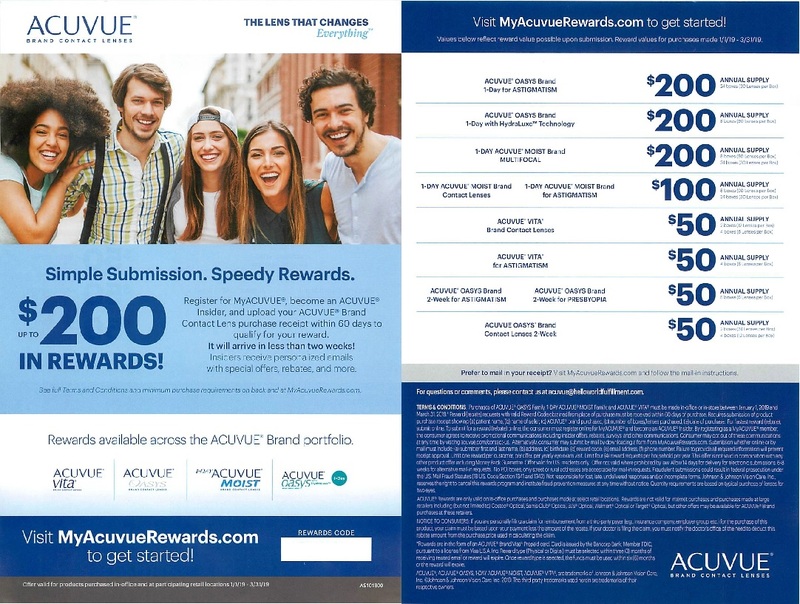 Acuvue Contact Lenses- Up to $200 rebate on an annual supply of lenses. 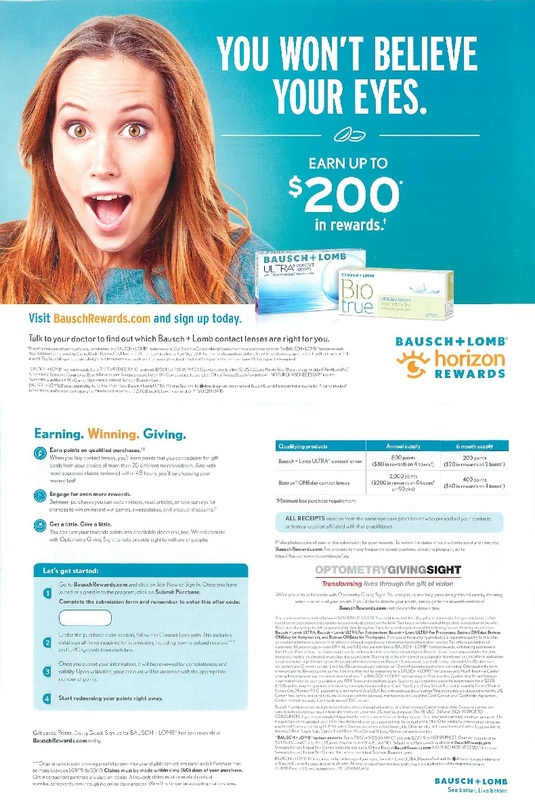 Bausch & Lomb Contact Lenses- Up to $200 rebate on an annual supply of lenses.